Fabric architecture was pioneered approx. 50 years ago mainly by Prof. Frei Otto and has since become a popular and established method of construction. Fabric tensile structures are distinguished by their elegance and airiness, which result in outstanding designs. Tensile, fabric canopies are by no means only suitable for temporary structures. They are fully fledged constructions that are able to withstand adverse weather conditions such as wind and snow. The double-curved organic design is not just functional, it also gives fabric structures their unique appearance. Form, structure and details are closely intertwined. The desire for architectural authenticity is almost automatically fulfilled – the loadbearing structure defines a canopy's overall appearance; details have both a structural and design function. The 3dtex GmbH specialises in the design and realisation of such entities encompassing structure, design and functionality. 3dtex offers its clients the full range of services from the first sketch through to the finished structure, at a guaranteed fixed price. To carry out the various phases of the project, 3dtex works with a network of specialists, including membrane manufacturers, specialised engineers, material science laboratories and trained industrial climbers. At 3dtex GmbH it all comes together. As an expert in its field, 3dtex guarantees the smooth running of a project from a technical, creative and financial perspective, as well as its on-schedule completion. Since the founding of 3dtex GmbH in 2008, the company has worked on more than 40 projects and demonstrated its expertise in the area of fabric architecture. A fabric structure is more versatile than an average hoop barn. They are manufactured to stand up to strong wind, heavy rain and unbalanced snow loads. 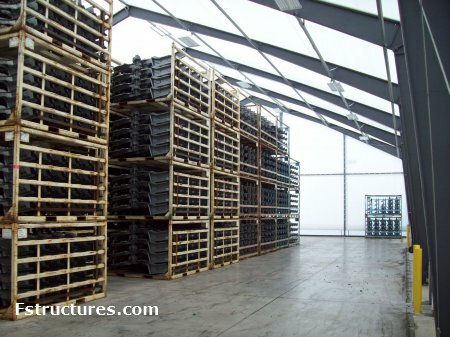 Fabric buildings take care of all of your farming needs from equipment to grain and hay storage. 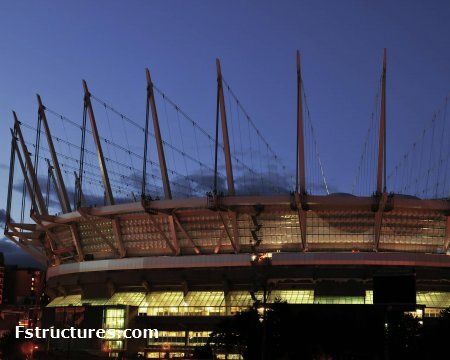 What will 2012 bring to the world of tensile structures? Yes, there really is a ‘world of tensile structures’ – a community of people with a passionate interest in what’s going on in what is becoming a very fast moving design environment. Apart from the blogs and tweets, we even share exciting emails when new materials emerge or someone does something really innovative. … I’m beginning to think this might sound a bit sad to outsiders, so I’ll just get on with the main purpose of this blog: what does 2012 hold for the people who design and make tensile structures – and those that use them? Firstly, we can’t avoid mentioning the London Olympics, because there will be the biggest single showcase of tensile fabric structures ever assembled. The fantastic designs will (we think) encourage a new wave of applications, and unleash the imaginations of architects and engineers everywhere. After the customer has placed his demands, our team starts working on the design and engineering of the structure. Our designers' work day and night to find the most appealing designs whereas our engineers put in all their efforts to come up with durable and eye-catching configurations. Our in-house manufacturing facilities include plotter, welding machine and cutting machine. Our precision is unrivalled and as an end-result our customers get more than they desire. Installation of the tensile structure needs prior homework. In order to successfully set up a structure, we rely on our experienced workers. Since the installation depends upon the shape of the tensile configuration, each task is different from the previous one. Therefore, our team is always prepared to come up with outstanding performance and meet unexpected challenges. All the components of tensile structure are built with special care and they usually do not require any maintenance in their life cycle. However, cleaning the structure occasionally can drastically increase the life span of the configuration. The external connection cables are vulnerable to weather and climatic changes and need to be taken care of. The climatic conditions or rough handling during installation may cause the membrane to get damaged. In such circumstances, we either repair the fabric or replace it. Moreover, the membrane structure needs to be cleaned every now and then. Hatch keeps a follow up of its customers and provides any kind of services or maintenance needed during the life of the tension structure.